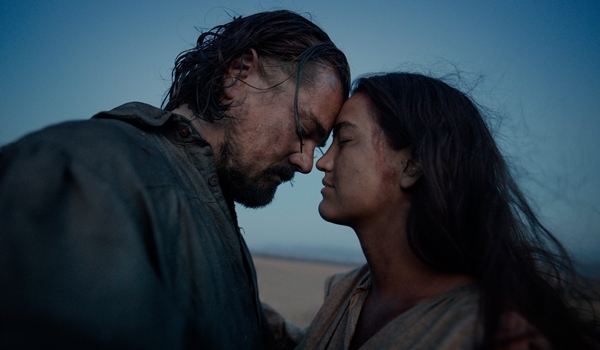 Actor Leonardo DiCaprio on the challenges of The Revenant and the lessons in survival. We all have rooted for Leonardo DiCaprio when it comes to winning an Oscar. With The Revenant, he is closest to getting one, e ven fellow nominee Eddie Redmayne (nominated for The Danish Girl) agrees. 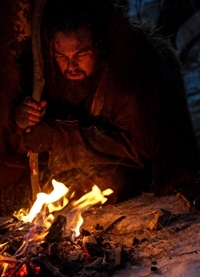 In this action-adventure film directed by Alejandro IA�A?rritu, the 41-year-old plays a fur trapper, isolated from his fellow men, seeking revenge for the death of his son. The 41-year-old talks about all that has put him in the race for the most coveted trophy. Alejandro. Here, you have a linear story, somewhat of a campfire legend of American history: the American survivalist driven by instinct. But through Alejandroa��s eyes it became a story of triumph, of the human spirit and what it is to overcome obstacles. The a�?bear sequencea�� is an incredible sequence. This scene was profoundly moving because of Alejandroa��s ability to put the audience in the middle of it. They will see it as if they are a fly buzzing around the attack. Ita��s almost like another sense is awakened. The period the film is set in is not well-documented which must have been challenging. Thata��s right. Not only do cinema audiences not know much about this time period, expert historians dona��t either. This is really because America hadna��t become America. This region was a wilderness, inhabited by indigenous people. The period depicted in the film saw the first infiltration of the white man into this untouched region and how it was manipulated for capitalistic purposes. Tell us about working with Alejandro. He is a genius of filmmaking. Hea��s an old-school filmmaker and an outsider. While hea��s been within the industry, hea��s been influenced by a lifetime of studying cinematic history and other great masters. Was it a tough shoot? Definitely, for example it was filmed in natural light. We rehearsed most of the day and then shot during the few hours of natural light. There was constant extreme weather, or cameras not working because it was 40 degrees below zero, or the snow melting in unprecedented warming period because of climate change in the territory causing the landscape to go dry within five hours. At one point, we shut down for weeks. You and the cast had to go for a boot camp and learn new skills? We worked with specialists to learn about the muskets we used, which take a minute to reload. I learned how to start fires using the elements, how to eat, or how to survive cold temperatures. Do you think this is a political film? I think those elements are there. Oil companies go into Papua New Guinea or the Amazon or Canada and kick the native indigenous people off their lands or poison their lands and cut down their trees. So yes, there is that theme embedded underneath the film and ita��s hopefully something people can pick up.